The Naomh Mhuire GAA Club from the Lower Rosses last week honoured Seamus Rodgers and Tony Doherty as their first to enter the Club Hall of Fame. 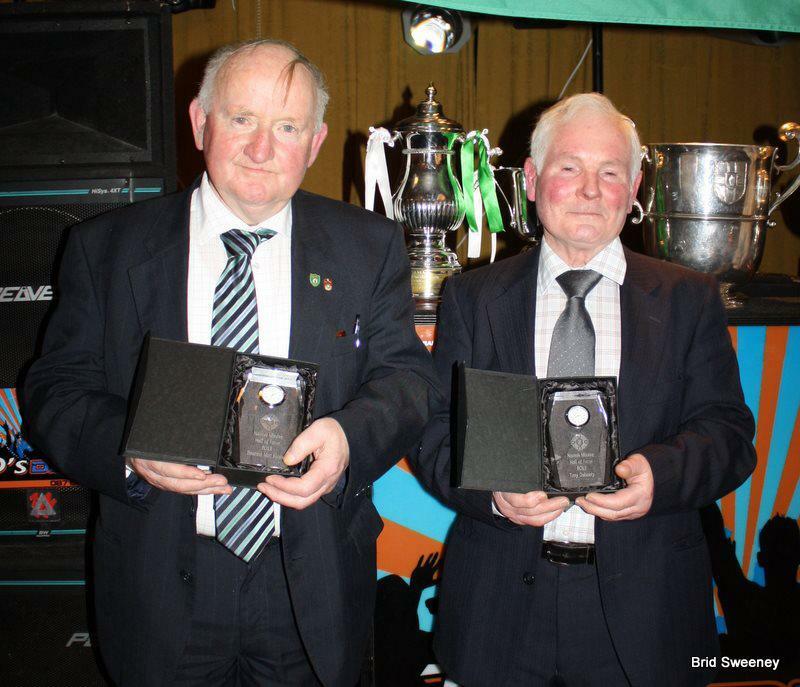 Both men were founding members of the Club in 1980 and have given over 31 years of service. They both still hold positions within the tight knit West Donegal Club. “Tony and Seamus are a reflection of our Club and its community. They have worked hard against the odds at times in establishing a club for all with facilities for which we are forever grateful”….said Club Chairman Cormac McGarvey on Saturday night at the Club Dinner.